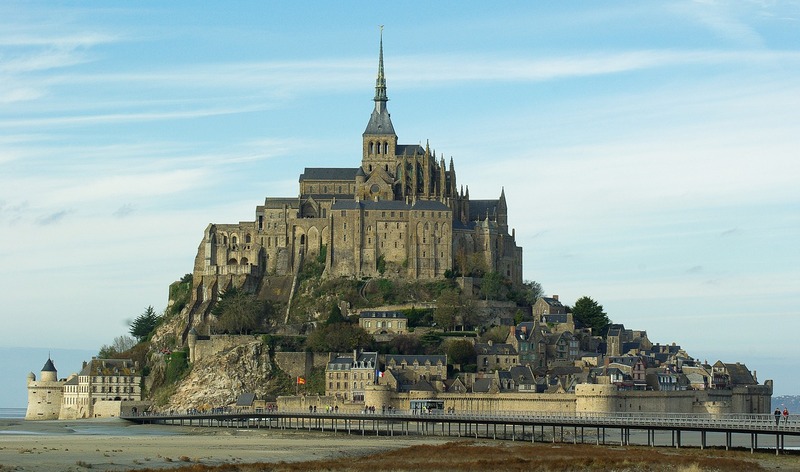 Then you will head to Dinan one of the most impressive medieval cities in Brittany. It has one of the most preserved central down town with several kinds of timber frame buildings from the 15th to the 17th century. Dinan is located on a 75 meters (220 feet) cliff. From the British Garden near the Saint-Sauveur Basilica you will enjoy the most impressive view of the river Rance and have a very good idea about the trade and the wealth that entered the city from the river port. 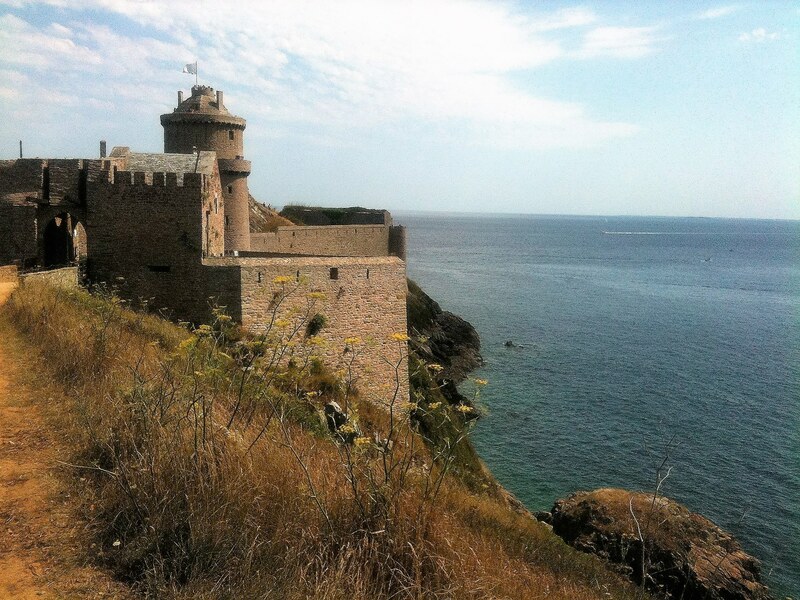 After an enjoyable lunch break (lunch not included) in a nice tipical place you will head to Fort La Latte whose construction started in the 14th century is an incredible medieval fortress located in the west part of the Emerald Coast. During this visit your private guide will show you all the aspects of the medieval defensive architecture although in the 17th century it was turned into a military fort. You will definitely enjoy to see draw bridges, barbacane, water tank, donjon, canon ball kiln… and of course the view from the cliff and the donjon over the sea. This visit requires walking in steep path. 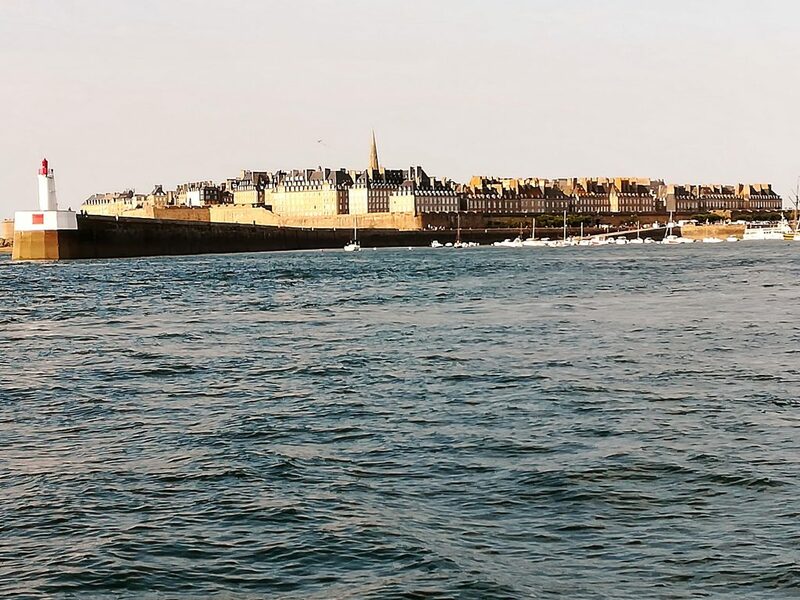 Leaving this unique place your private guide will drive you through the world’s capital of the oysters : Cancale. 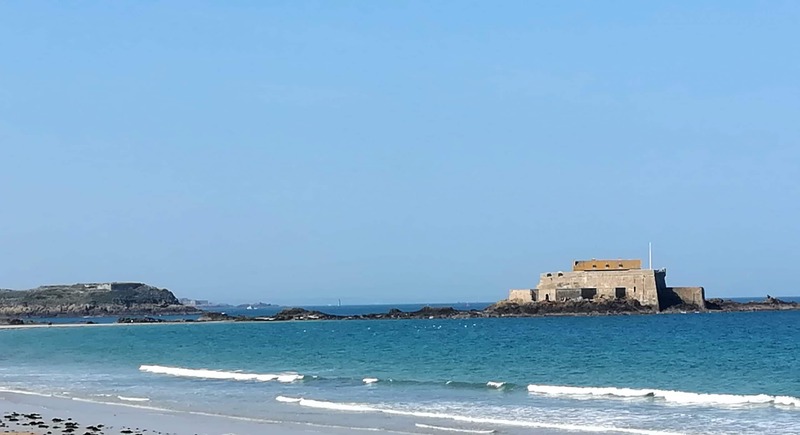 After an enjoyable lunch break (lunch not included) in a nice tipical place you will head to Dinard to stroll in this former fishermen village turned into an effervescent and entairtaining resort in the 19th century. Then you will be ready for another enchanting visit. During the visit you will see a very interesting model of the grounds and the shipyard in the 18th century. By the way, do you guess why they needed such hidden spot ? coming from England arrived as they did all over Brittany. 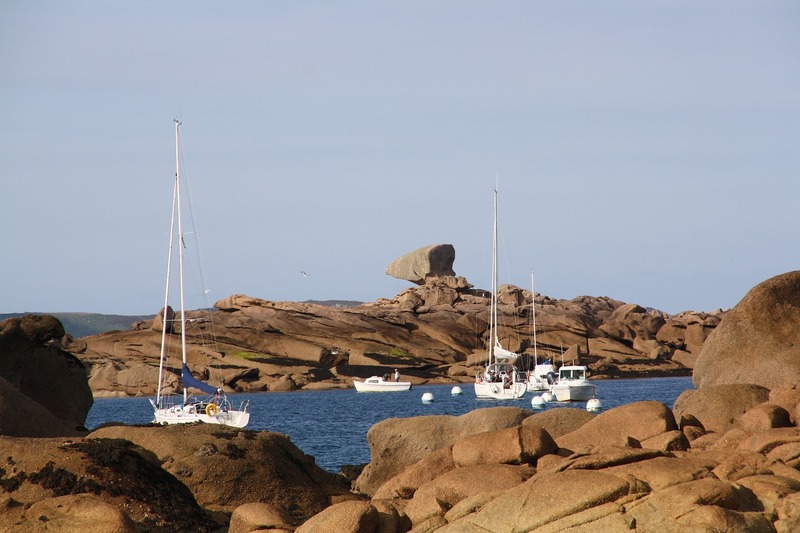 Ploumanach which is an area of the little charming town Perros-Guirec is one of the best example of this mix of splendid nature and history. 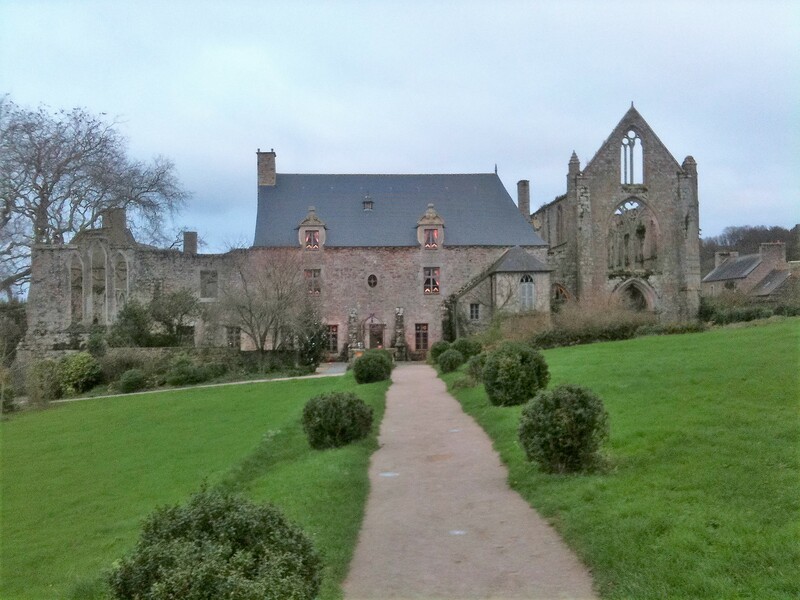 During this day you will visit the Abbaye de Beauport. Before being, on purpose, this evocative ruin, it’s been turned into residential accommodations, stables, city hall, school and a cider press since the 18th century. Cider is still being produced nowadays thanks the orchard in the site. Then the Château de la Roche Jagu will be another stop. In that site there was a fortress since the 11th century but the Castle your private tour-guide will take you to dates from the early 15th century, between 1405 and 1418. The fact that the owners didn’t live often in the castle in the 17th and 18th centuries you have a great example of a wealthy medieval castle, including the architecture , the way of living…in those times. You will start your day with the visit of one of the most impressive museum about World War 2. Near Brest «Festung», the German fortress, this Bunker whose outside part is only 10% of the whole buried structure is the former Graf Spee naval artillery battery commanding post. Brest as a strategical port sheltered the German warships and submarines and to achieve that had to be heavily protected, that is why the construction of the Graf Spee naval artillery battery was started in 1940 and it remained the biggest one in western Brittany with its 280 mm canons. The US troops reached Brest on august 1944 and after gathering several forces such as the GI’S, The US Ranger Batalions who captured the Pointe du Hoc in Normandy, the French Resistance this spot was taken in september 1944. All the documents and items exhibited will help you to understand the daily life in this bunker and the occupation in that part of France. After that very interesting visit you will head to Quimper located in a little valley on the banks of the river Odet where tides are as large as in the ocean 20 km further south. The legend says that Gradlon the pagan king of Cornwall after the destruction of the island city Ys built for his daughter, founded a new capital city at the confluence of the rivers. You will have a walking tour of the old medieval center. Then you will visit the Cathedral Saint Corentin, the first bishop of Quimper according to the legend of the King Gradlon. The choir of the cathedral was started in 1239 century in a gothic style that the Bishop Raynaud was familiar with since he was canon in Chartres Cathedral. It was built in several steps until the construction of the steeple in 1856 by the architect Joseph Bigot. You will see a unique detail : the choir and the nave are not in the same axis. Just like JC head on the cross ? Or is it because of the underground foundation near the river and its tides ? To end such great day you will visit the amazing Boutiguéry garden above a loop of the Odet river. 50 accres where 40000 «Rhodies» Rhododendrons and Azaleas are grown. It is not only a walk in a beautiful spot it is a journey through a perfect vegetation and landscape manucured by a botanist painter. Pont-Aven, the village of the painters where “l’Ecole de Pont-Aven” was founded by painters named by the locals “The Americans” although they were British, Scandinavian, French…“The Americans” was actually the name of this artists melting pot. 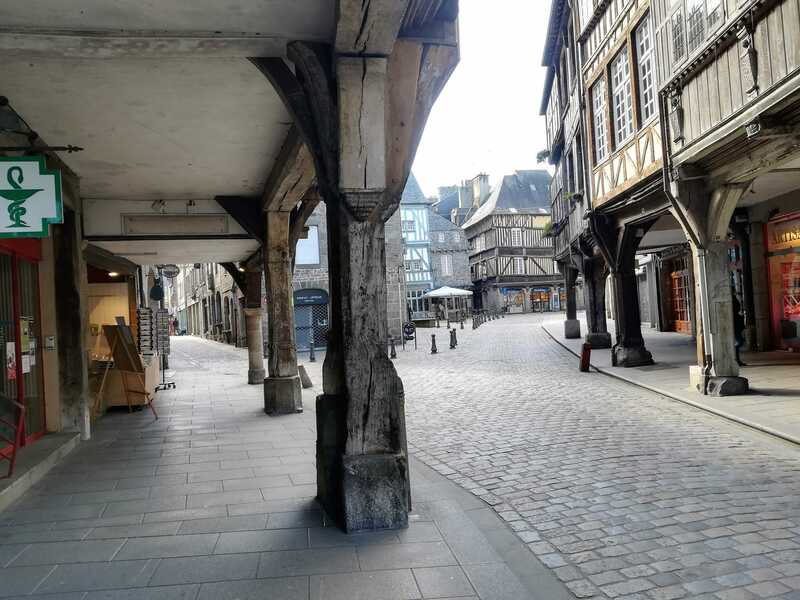 Then you will head to Vannes, built as an amphitheater in the very end of the Gulf of Le Morbihan, which is located in one of the oldest settlement in southern Brittany. Then your private guide will drive you to Rennes (1h30), the actual capital city of Brittany where your trip ends.